Home CDN , children , crafts , feature , holiday , holidays , homeschool , January , papercrafts , printables , US , worldwide January 29th - Featuring Puzzle Freebies! January 29th - Featuring Puzzle Freebies! -- Honors puzzles of all size, shape, and form. Crossword puzzles are by far the most common. Sudoku, a number puzzle, is the most recent puzzle rage. There are easy puzzles, and there are puzzles for experts. They fit the needs of every person and every skill level. 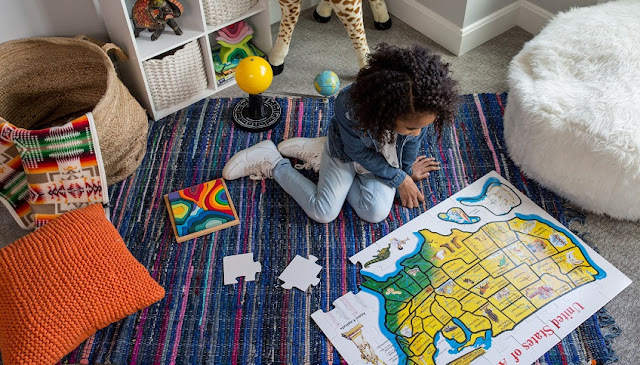 Studies have found when we work on a jigsaw puzzle, we use both sides of the brain, and spending time daily working on puzzles improves memory, cognitive function, and problem-solving skills. -- Journalist Arthur Wynne had wanted to devise a new game for the back of the newspaper back in 1913, so he created a diamond grid and called it a “Word-Cross,” and thus the first crossword puzzle was born. Editor and crossword constructor Ben Tausig examines the curious history of the world's most addictive game and its unusual upbringing. Accompanied by 100 unique and challenging puzzles from the past 100 years, he examines the evolution of grid shape, how basic expected knowledge of the reader has changed, the puzzles which break the breakfast table rule and more. Featuring puzzles from top constructors like Will Shortz, Brendan Emmett Quigley, Matt Jones, Cathy Millhauser, Maura Jacobson, and more. • The Puzzle Universe: A History of Mathematics in 315 Puzzles -- The Puzzle Universe is intended for general readers and devoted puzzlers. It is about the latent beauty of mathematics, its history, and the puzzles that have advanced and emerged from the science of numbers. It is full of challenging historical facts, thinking puzzles, paradoxes, illusions, and problem-solving. With this book, Ivan Moscovitch invites readers to join him in the puzzle universe, a pleasant environment of creative discovery, problem-solving, fun and enjoyment. • The World's Largest Puzzle 51,300 Pieces -- You will never believe it until you see it! Kodak Premium Puzzles Presents: THE WORLDS LARGEST PUZZLE! This puzzle is the most amazing puzzle you will ever see! The puzzle is made of high-quality board and snaps together piece after piece. The colors and pictures are the crispest, realistic images ever created in a puzzle! AND YES it really has 51,300 pieces and is 28.5 FOOT by 6.25 Foot. This is a must-have for the puzzle lover in your life. 2000 piece puzzles got nothing on us!! What a wonderful way to bring a family together and do this amazing larger than life puzzle! Each image is in a separate bag. There are 27 bags. Each puzzle is 1900 pieces. Then they all go together to make this larger than life puzzle. So work on it a little or tackle the whole thing at once. - Freethought is a philosophical viewpoint which holds opinions should be formed on the basis of science, logic, and reason, and should not be influenced by authority, tradition, or any dogma. The cognitive application of freethought is known as freethinking, and practitioners of freethought are known as freethinkers. - Everyone is encouraged to enjoy a big bowl of corn chips and share them with friends, family, and workmates. And, take the Corn Chip challenge... eat corn chips for breakfast, lunch, dinner, and snacks today! - The carnation was originally called dianthus by the Greek botanist Theopharastus. It has been cultivated for over 2,000 years. Carnations, in general, symbolize fascination, love, and good luck. A white carnation stands for innocence, devotion, and pure love. - The Seeing Eye, North America's first guide dog school, was incorporated on this date at Nashville, TN in 1929. The first class took place in February, and included Buddy, the seeing eye dog brought from Europe. The Seeing Eye was the first program in the US which enabled people with disabilities to be full participants in society. Its mission is to enhance the independence, self-confidence, and dignity of people who are blind through the use of Seeing Eye dogs. - An annual celebration of the crusty, yet insightful, wags who consistently apply the needle of truth to the balloons of hypocrisy and social norms. Always celebrated on January 29th, the birthday of W.C. Fields, one of America's most beloved curmudgeons. - American Revolutionary leader, a corset maker by trade, author of Common Sense, The Age of Reason and many other influential works, was born at Thetford, England in 1737. These are the times that try men's souls are the well-known opening words of his inspirational tract The Crisis.